Dortmund, GermanyWilfred Bungei produced a most impressive 800m performance at the Sparkasse DLV Meeting on Sunday 15 June. Already in front on the home straight the Kenyan started celebrating when there were still at least 30 metres to go. Probably reacting to the cheering spectators he waved to the crowd instead of heading on for a faster time. By doing so, Bungei probably wasted the opportunity of clocking a sub 1:44 in the 800 metres. He finally finished in 1:44.44 minutes but there will of course be more chances for him to show his potential this year. 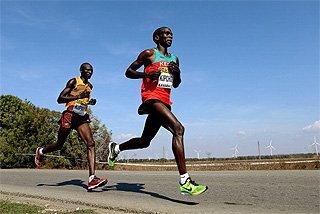 The Kenyan was guided by German pacemaker Christoph Moormann who dropped out after about 500 metres, after the pair had passed halfway in a promising 50.52 seconds. That had left the rest of the field about 20 metres behind. While catching Bungei was simply impossible for the other runners, the battle for second place was on when Ivan Heshko (Ukraine), Kennedy Kimwetich (Kenya) and Rene Herms (Germany) neared 100 metres to go. Herms, who is well known for his strong finish, with which he has beaten Olympic champion Nils Schumann during the last two national championships finals, finally was just ahead of Heshko. The 20-year-old German clocked a personal best of 1:45,39 minutes and beat the national qualification time for the World Championships in Paris for the third time this month. Nils Schumann is still not able to compete because of injury problems. “For me the season is going really well at present, but there is a long way to go. So I will make a break now. My next race will be at the IAAF Golden League in Oslo., and if Wilson Kipketer should run in Paris a week later I will be ready”, said Wilfred Bungei. The Kenyan, who won the World silver medal in Edmonton 2001, has a season’s best of 1:43.05, and is sure that he will be faster soon. “I am sure that I can run sub 1:43 minutes. May be there is even a chance of running around 1:42 on the fast track in Rome.” Bungei’s personal best from last year is 1:42.34. 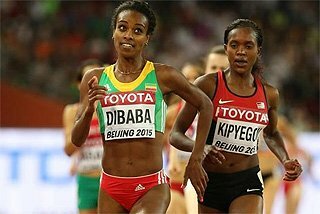 The 1500m was a Kenyan affair as well. Showing a strong finish Isaac Songok ran 3:33.52. 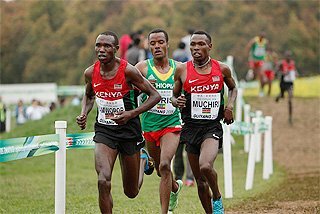 He won ahead of David Kiplak and Benjamin Kipkurui, the race having been paced by Sammy Mutai for the first two laps (1:53,88). The 110m Hurdles race produced another good result. USA’s Duane Ross dominated the final from just after the start, having run the fastest time of the first round (13.46). 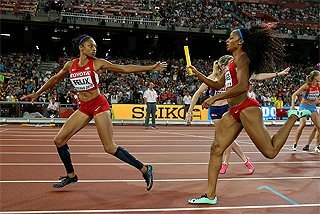 The American won in 13.25, running into a slight head wind of 0,6 m/sec. 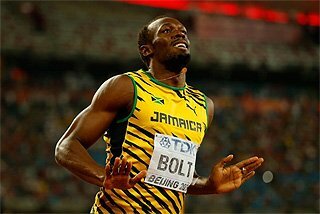 “Looking ahead to the trials next week I am very satisfied with both races. I did some mistakes, but it will be okay by next week. I know I will have to run 13.10 or may be 13.00 to win – but I can do this”, said Ross. 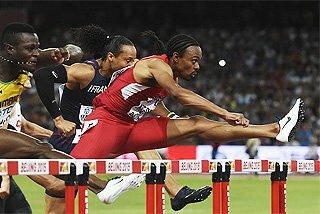 Sadly it became obvious once again that Germans best hurdlers are no longer world class. Jerome Crews was the best in the final, clocking 13.68 in fourth place. In the first round Mike Fenner had run 13.58, but in the final he managed just 13.72. There was a surprise for the Germans in the Pole Vault. In his first competition in Europe this season South Africa’s Okkert Brits jumped 5.75 m in his second attempt. That was enough for the win, and so Brits then chose to have an attempt on a new season’s best of 5.87 m. But that was too high for him in Dortmund. “I am happy with my result, especially because the winds were difficult”, Brits said. Tim Lobinger is number one on the world lists this year with 5.86 m. But he was only number four in Dortmund. After jumping 5.50 m on his first attempt, he missed 5.70 m three times. “It might sound funny, but today I was in a better shape than in Kassel, where I jumped 5.86 metres. I know what the problem was, so I am optimistic to jump 5. 90 soon,” confirmed Lobinger. One problem was the wind, which either came from the front or from the side. There was a surprise in the Discus event as well. Michael Möllenbeck was the winner, beating Lars Riedel. Möllenbeck’s best throw was 67.42, but he had two more which would have been good enough to beat the favourite as well: 66.38m and 66.72m. “I never had expected to be able to throw that far already. If I can make some technically improvements I should be able to throw 68 or 69 metres”, said Möllenbeck. 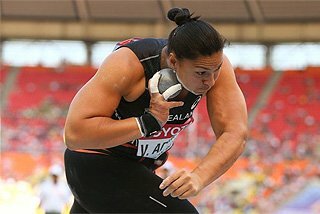 Riedel, who had already thrown already 69.50m this season, was second with 66.33. 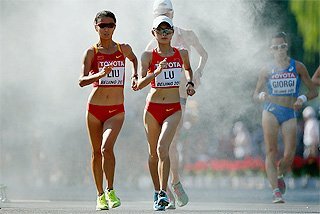 In comparison, the women’s events did not produce quite that level of good results in Dortmund. Natalia Nazarova (Russia) had no problems to win the 400 m in 51.65 from Claudia Marx (52,49). It was again Russia in front of Germany in the 800m later: Natalia Khrushchelyova won in 2:01.44, leaving behind Claudia Gesell (2:01.89), who ran her first 800 m this season. The best performance by a woman came from Annika Becker, who won the Pole Vault with 4.60 m. She then missed 4.71 m three times. 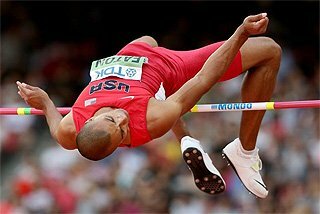 “Although I had hoped to jump higher, I am satisfied with 4.60 metres. I will now concentrate mainly on training to prepare well for the World Championships in Paris”, said Becker. 100 m (-0,2): 1. Jason Gardener GBR 10.23, 2. Konstantin Rurak UKR 10.33, 3. Marc Blume 10.42, 4. Ronny Ostwald 10.46. 400 m: 1. 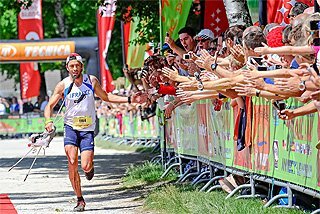 Ingo Schultz 46.08, 2. Paul McKee IRE 46.14, 3. Bastian Swillims 46.50, 4. Sebastian Gatzka 46.70. 800 m: 1. Wilfred Bungei KEN 1:44.44, 2. Rene Herms 1:45.39, 3. Ivan Heshko UKR 1:45.41, 4. Kennedy Kimwetich KEN 1:46.38, 5. Jason Stewart NZL 1:47.81. 1500 m: 1.Isaac Songok KEN 3:33.52, 2. David Kiplak KEN 3:35.09, 3. Benjamin Kipkurui KEN 3:35.73, 4. Graham Davidson RSA 3:37.73, 5. Ralf Assmus 3:38.18, 6. Ali Maataoui MARK 3:38.22. 110 m hurdles (-0,6): 1. Duane Ross USA 13.25, 2. Greg Richardson USA 13.48, 3. Shaun Bownes RSA 13.66 (1st rd: 13.55), 4. Jerome Crews 13.68, 5. Falk Balzer 13.69, 6. Mike Fenner 13.72 (1st rd: 13.58). Triple Jump: 1. Christian Olsson SWE 17.21, 2. Karl Taillepierre FRA 16.90, 3. Jewgeni Plotnir RUS 16.59, 4. Charles Friedek 16.53. Pole Vault: 1. Okkert Brits RSA 5.75, 2. Lars Börgeling 5.70, 3. Richard Spiegelburg 5.60, 4. Tim Lobinger 5.50, 5. Rends Blom NED 5.50. Shot Put: 1. Ralf Bartels 20.43, 2. Rene Sack 19.41, 3. Peter Sack 19.40, 4. Detlef Bock 19.05. Discus: 1. Michael Möllenbeck 67.42, 2. Lars Riedel 66.33, 3. Jo van Daele BEL 63.69, 4. Torsten Schmidt 62.81. Hammer: 1. Adrian Annus HUN 79.13, 2. Karsten Kobs 77.47, 3. Pavel Sedlacek CZE 75.98, 4. Markus Esser 73.66. 4x100 m: 1. Germany (Ostwald, M. Blume, Kosenkow, Unger) 39.12, 2. Ukraine (Vasyukov, Rurak, Kaydash, Glushchenko) 39.28, 3. Slovenia (Jerancic, Fridrih, Predanic, Zumer) 40.00. 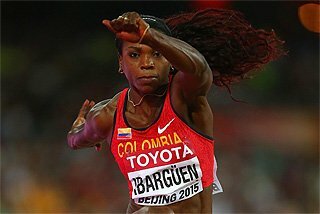 100m (+0,3): 1. Tatjana Tkalich UKR 11.30, 2. Esther Möller 11.31, 3. Elena Pastushenko UKR 11.35, 4. Karin Mayr AUT 11.36, 5. Marion Wagner 11.41. 400m: 1. Natalia Nazarova RUS 51.65, 2. Claudia Marx 52.49, 3. Shanta Gosh 52.94, 4. Birgit Rockmeier 53.23, 5. Nadine Balkow 53.27. 800m: 1. Natalia Krushchelyova RUS 2:01.44, 2. Claudia Gesell 2:01.89, 3. Marian Burnett GUY 2:02.46, 4. Monika Gradzki 2:02.73, 5. Akosua Serwaa GHA 2:02.95, 6. Anja Knippel 2:04.02. 1500m: 1. Irina Lischinska UKR 4:02.60, 2. Jackline Marana KEN 4:07.48, 3. Rene Kalmer RSA 4:07.69, 4. Merriem Boucetta MAR 4:08.09, 5. Adrea Suldesova CZE 4:08.67, 6. Irina Mikitenko 4:10.76. 400m Hurdles 1. Heike Meißner 56.05, 2. 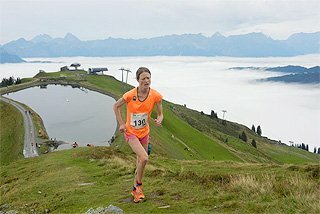 Monika Niederstatter ITA 56.34, 3. Stephanie Kampf 56.52, 4. Anja Neupert 57.06. Pole Vault: 1. Annika Becker 4.60, 2. Yvonne Buschbaum 4.50, 3. Carolin Hingst 4.40, 4. Floe Kühnert 4.20. Long Jump: 1. Bianca Kappler 6.69, 2. Sofia Schulte 6.46, 3. Urzula Gutowicz-Westhof 6.40. Shot Put: 1. Nadezhda Ostapchuk BLR 19.75, 2. Astrid Kumbernuss 19.55, 3. Olga Riabinkina RUS 18.69, 4. Yanina Korolchik BLR 18.24, 5. Nadine Beckel 18.12. 4x100 m: 1. Ukraine (Tkalich, Kaydash, Pastushenko, Maydanova) 43.20, 2. Germany (Paschke, Schielke, Möller, Wagner) 43.33.